In 1986 the Tice's were pastoring a church on Clearlake in Northern CA when the Lord impressed them to start FGRMC. The following is through the eyes of Drs. 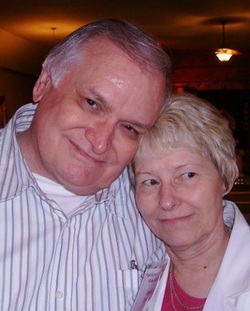 Ty & Betsy Tice and their story. Betsy and Ty were ordained through a great organization Ty was the western regional bishop over everything west of the rookies. Not bad, for a country preacher in a rural community of two thousand people. Many times direction comes out of troubling times. The organization was speaking against TV preachers. Yet the Lord was pulling on Ty's heart for these fallen ministers. He watch as the "universal church" seem to take glee in the destruction of these ministers. The Holy Spirit troubled the Tice's heart to do something about these "anointed" men and women of God who were snared by the enemy. When the Tices left they started with their associate pastors and Jerry & Jordan Lillibridge. They encouraged the rest of the ministers to stay with the original group. If this wasn't of God, he didn't want to build an organization on the foundation of another.